22.04.2016. The Friedhelm Loh Group performed very well in a nationwide study commissioned by “Deutschland Test” and “Focus Money”. 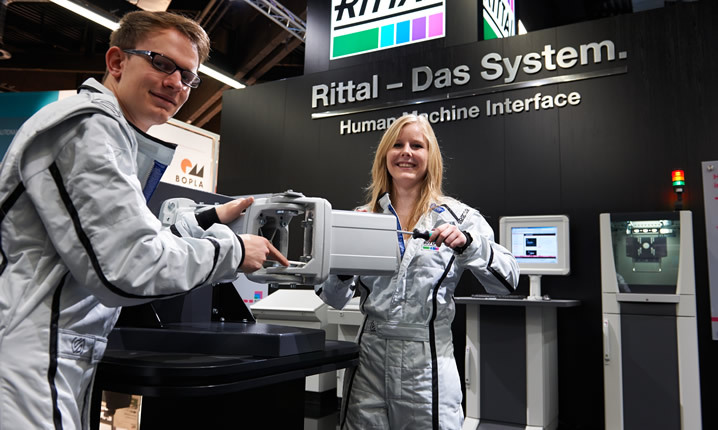 The study revealed that the family-run business in Central Hesse, which employs more than 11,500 people worldwide, is one of the best companies in Germany when it comes to training. The 2,000 businesses with most employees in 22 different sectors were examined. The group provides training for around 200 trainees at locations in Hessen, North Rhine-Westphalia, Rhineland-Palatinate and Thuringia. Trainees can choose between no less than 20 trades, ranging from mechatronics and technical product design to IT specialist. The subjects they have to deal with during their training range from enclosure construction or energy-efficient climate control to man-machine communication in Industry 4.0. “Our training not only needs to convey technical expertise, it must also instil entrepreneurial thinking,” says Marcus von Pock. That is why ‘junior companies’ form part of the trainee development program. 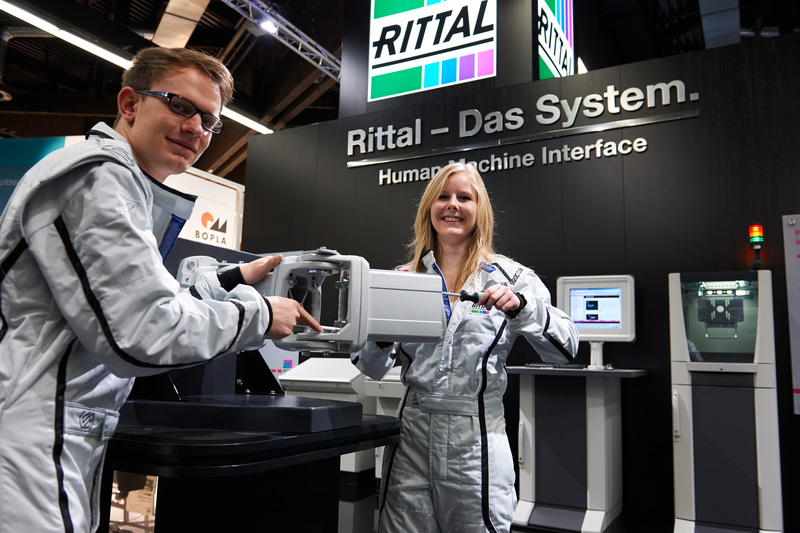 “Big Little Rittal” and “Ri2Youth” are organisational units of the Group’s largest company, Rittal, in which trainees independently maintain customer contacts, complete orders and make decisions: “It’s a great experience to be able to assume responsibility so early on,” says 21-year-old Maximilian Sirvend. In “Big Little Rittal”, he was responsible with three other trainees for managing the company’s fleet of vehicles and for ordering office supplies and promotional materials. Here, working independently is a matter of course. In the Loh Academy, the company’s own training facility, training is regularly provided in soft skills, for instance during the “off-the-job workshop” at the Gnadenthal Monastery, where trainees develop their own projects. And those who still want to learn following their training can link a dual combined studies degree with an international qualification, thanks to the cooperation between the Loh Academy and the Mittelhessen University of Applied Sciences (THM) where engineering, industrial engineering and business management can be studied. Trainees who perform very well can also learn in an international environment, added Marcus von Pock: “That’s the advantage of a large group of companies that is successful worldwide.” Trainees are already employed at the group’s international subsidiaries, where they are gaining valuable professional and personal experience. Image: The trainees of the Friedhelm Loh Group are also active at trade fairs. The group has now been awarded the “Germany’s best companies for training” seal of quality for its innovative approaches to developing young talent.